It is recommended that smoke detectors are fitted throughout the property on each floor level including the loft space. These should ideally be mains powered with a battery back-up and interlinked so all the alarms in the property will sound if one goes off. To avoid false alarms, install a heat detector in the kitchen. Carbon Monoxide (CO) is an extremely poisonous gas that can be present in the fumes from the combustion of fuel’s which aren’t burnt under the correct conditions. Fuels such as gas, oil, solid mineral fuel and biomass all have the potential to emit CO. The gas cannot be seen, smelt or tasted making it difficult to detect. 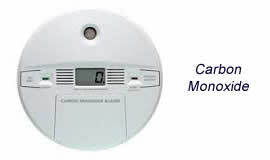 Once installed, CO alarms should be regularly tested and should not be regarded as a substitute for regular maintenance of the appliance and chimney. A stove pipe thermometer is an inexpensive and very useful accessory, it simply magnetically attaches to your flue (at least 300mm above the top of the stove) and once in place will allow you to quickly see how your stove is performing. 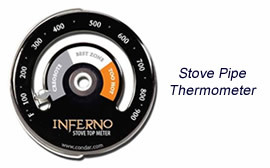 Generally, most stove pipe thermometers will have a simple display, three zones of operation; Creosote, Best zone and Too hot. The temperatures are often displayed in both Celsius and Fahrenheit. 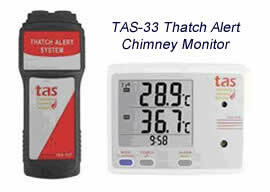 The Thatch Alert Chimney Monitor System has been specifically designed to monitor the temperature of the chimney brickwork at the point where it meets the thatch. 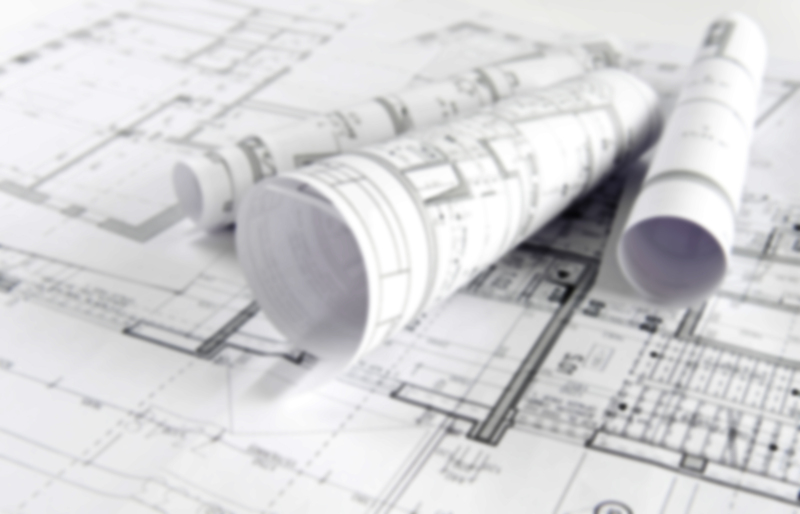 The system acts as an early warning device to inform the home owner of potential high temperatures. Once installed, in the event of high temperatures being recorded, the system will trigger an audible alarm, allowing the owner to take action. Find out more about Thatch Alert.